Tungsten and its alloys find critical applications in several important sectors, such as defence, aerospace, mining, manufacturing, telecommunications etc., which are key to economic development and national security. Global tungsten deposits are limited (~3.3 million tonnes) and highly localized; China dominates the supply with more than 84% share. India doesn’t have any economic tungsten ore deposits, and produces meagre quantities of tungsten in comparison to its demand of ~1500 tonne/year. In order to lessen the import burden and supply risk to the country’s defence programmes, India is required to focus on producing this important metal from various available secondary and lean grade resources such as scraps and tailings. 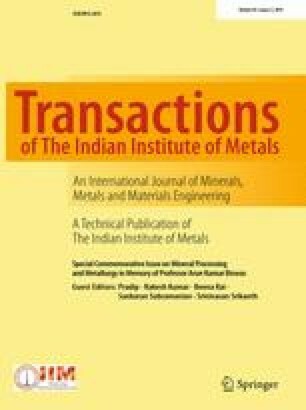 This article presents some of the recently developed and commercialized tungsten recycling technologies by CSIR-NML, which include: (1) recycling of tungsten carbide (WC) hard metal scraps for production of high pure yellow tungsten oxide (WO3) and W-metal powder; and (2) production of high pure sodium tungstate (Na2WO4·2H2O) from spent hydro-refining catalysts. Besides describing the process flow-sheets and product specifications, the paper highlights the advantages of CSIR-NML technologies over the presently practiced technologies. The authors are thankful to various sponsors and entrepreneurs for their financial support, deep involvement and finally commercialising the developed knowhow. The authors are also thankful to Director, CSIR-NML for giving permission to publish this article. USGS, Minerals Yearbook, Tungsten [Advance Release], U.S. Geological Survey, June 2016. (http://minerals.usgs.gov/minerals/pubs/commodity/tungsten/myb1-2014-tungs.pdf) (2014). Indian Bureau of Mines, IBM, Mineral Year Book, Part–II. (http://ibm.nic.in/writereaddata/files/05312016124135Final_IMYB-Tungsten-2014-pdf.pdf) (2014). BGS, Minerals UK, Centre for Sustainable Mineral Development, Risk List. (http://www.bgs.ac.uk/mineralsuk/statistics/riskList.html) (2015).